I started my Buddhist practice in the Insight Meditation tradition, and after about a decade and a half, switched to practicing within the Zen tradition. The reason for my switch wasn’t due to any dissatisfaction with my Insight Meditation practice. I had moved to a new location and there just weren’t any Insight Meditation groups nearby. There was, however, a zendo in the next town that proved to be a congenial place to practice. I soon found myself puzzled, however, by the differences between the Zen talks I was now hearing and the Insight Meditation talks I was more familiar with. 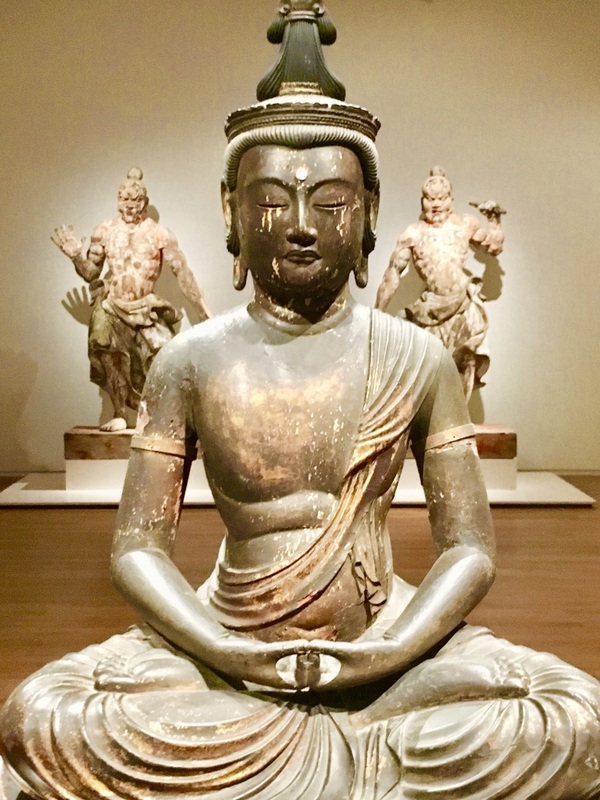 As a result, I developed a keener appreciation for the differences between the multiple–sometimes conflicting–streams of Buddhist thought that had made their way to American shores. There is a tendency for Westerners–practitioners and teachers alike–to sometimes blend those streams together in a kind of incoherent mash-up without sufficient awareness of and/or appreciation for the inconsistencies lying just beneath the surface. The Mahayana Buddhist tradition was acutely aware of these inconsistencies and devised various ingenious ways of dealing with them. One method was to divide teachings into those that were considered subject to interpretation (neyarhta) and those considered to be definitive (nitartha), or ultimately true. The central idea underlying this typology was that the Buddha offered different teachings to audiences of different capacities. Buddhist commentators then organized these teachings into doxographic hierarchies, with the most definitive teachings at the top. Not surprisingly, commentators differed as to which teachings were thought to be provisional and which were thought to be definitive. Also, not surprisingly, there was a tendency for historically later schools to view their teachings as definitive and those of historically earlier schools as interpretable. While Buddhist scholars are well aware of these intricacies, Western Buddhist teachers and practitioners (especially outside of the Tibetan tradition!) often are not. There are a number of crucial ideas in Zen (and Mahayana in general) that are either not found or not emphasized in the Theravada tradition from which Insight Meditation is derived. Just to give an example, the concept of “emptiness” (sunyata) is crucial in Chinese, Tibetan, Korean, Vietnamese and Japanese Buddhism, but relatively unimportant in the Buddhism of Sri Lanka, Thailand, Myanmar, Laos, or Cambodia. The concept of emptiness didn’t gain currency until the first century BCE, only reaching its full flowering in the second century CE in the Prajnaparamita Sutras and Nagarjuna’s Madhyamaka philosophy. The Theravada tradition, on the other hand, was transmitted from India to Sri Lanka in the third century BCE, well before the blossoming of Indian Madhyamaka. What does this mean for each tradition? For one thing, it means that the Insight Meditation tradition focuses on insight into “the three marks of existence”–the impermanence of all things, the idea that all things are in some way experientially unsatisfactory, and the idea that nothing experienced ought to be considered as “I, me, or mine.” This is essentially a psychologically minded approach. The last of the three marks–not taking experiences as part of the “network of me-ness”–was meant to help people see that they had no unchanging, essential Self to grasp onto. It was concordant with the Buddhist doctrine of annata or “non-self” which denied the idea (derived from the Vedas and Upanishads) that people had eternal souls that shared an ultimate identity with the godhead. By way of contrast, the idea of “emptiness” is an elaboration on and extension of the Theravada idea of not self-grasping at phenomena as “I, me, or mine.” Emptiness posits that everything–not just the personal Self–lacks independent self-existence. Nothing exists in the world by virtue of itself, but instead depends for its existence on its interrelationship with everything else. This is essentially a process view of reality–reality isn’t made up of “things” or “substances” but instead it made up of the flow of ever-changing interrelated processes. “Things,” according to this point of view, are just slow-moving processes. Thus, the person I am now–once a sperm and an egg and later dust and ashes–exists only by virtue of its interchanges with the environment–taking in food and oxygen, dependent on energy from the sun and water from the rain, existing by virtue of parental rearing, and living in a community. Without any one of those elements, “I” cease to exist. To a certain degree, the doctrine of emptiness shifts Buddhism’s focus away from Theravada’s psychological-mindedness and towards an ontological concern with the absolute nature of reality. Zen and the various schools of Tibetan Buddhism posit that it’s possible to undergo a fundamental shift in how we directly experience reality based on this fundamental interrelatedness of things. This second-century Madhyamaka view of emptiness underwent a further metamorphosis with the development of the Huayan school of Buddhism in seventh-and Eighth-Century Tang Dynasty China. This change is beautifully expressed in the Flower Garland Sutra metaphor of “Indra’s Net.” Indra’s Net is an infinitely vast net with jewels at each of its interstices, each jewel reflecting the light of every other jewel. According to this metaphor, reality is just like Indra’s Net–every part of the universe is in immediate and intimate interrelation with every other part. The word “interpenetration” is often used to describe this intimate relationship. This cosmological vision of absolute interconnectedness–everything in the universe depending on every other thing without exception for its existence–lead to placing a more positive spin on the Madhyamaka view of emptiness. In Madhyamaka, the emptiness and lack of self-existence of all phenomena was seen as something negative–one more reason not to get attached to things. Why become attached to things if no “thing” really exists? The Tang Dynasty Huayan visionaries, on the other hand, sensed a profound beauty in this complete interpenetration of everything. They called it the “suchness” of things. This positive transvaluation of emptiness moves one beyond mere detachment and towards a positive caring for all of existence. There is a way in which earlier forms of Buddhism sought to detach us from the everyday world to reach a higher plane–Nirvana–whereas the heirs to the Huayan tradition (and Zen is one such heir) sought to ground us in caring for all of existence as it is, insisting that there’s no difference between form and emptiness–between everyday reality and Nirvana–except in our view of things. In this way, the Huayan tradition turned early Buddhism on its head. There are other ideas that occur in Zen that also weren’t part of earlier Buddhist doctrine. Centuries after the flowering of Madhyamaka in India, a third Indian Buddhist school known as Yogacara emerged. Yogacara introduced several innovations at variance with earlier streams of Buddhist thought. (I ask scholarly readers to forgive the oversimplification here–there are, of course, some ways in which the Madhyamaka and Yogacara innovations were anticipated in pre-Mahayana Buddhism, just as there are ways in which the Chinese innovations were foreshadowed in earlier Indian Buddhist thought.) Among the Yogacara innovations was the idea of the illusory nature of the subject-object dichotomy. Zen meditation values losing the sense of an “I” who is watching the theater of the mind–in other words, losing the distinction between the observer and the observed. This is not a part of Insight Meditation. Nanyue picked up a brick and started polishing it. The Mahayana Buddhists wondered how an ordinary person could become a Buddha unless the seed for becoming a Buddha was not somehow already present. This “seed” is the “womb of the Buddha” or “Buddha Nature.” The idea of Buddha Nature has been variously interpreted by different East Asian Buddhist traditions as meaning either 1) the idea of a universally present seed of awakening, dormant and waiting to be nourished, or 2) the idea that all human beings are in fact already Enlightened, only they don’t realize it yet, or 3) the idea that the integrated-universe-as-a-whole was, in fact, the Buddha’s ultimate body (dharmakaya) itself, and that our true selves are not the individual personalities they seem to be, but are, when seen correctly, the entire web of interconnected being. The last alternative informs the Zen notion of one’s “true self” or “big self” being the entirety of the interconnected universe, as opposed to the “small self” of personal ego. I might parenthetically add that the idea of an essential Buddha-nature or “true self” seems, at least on the surface, antithetical to the earlier Buddhist doctrine of annata or non-self. In fact, the Nirvana Sutra–one of the earliest Yogacara texts–is quite explicit about this contradiction, claiming that the tathagatagarbha doctrine supersedes earlier Buddhist teachings on non-self. Even the quintessential story of the Buddha’s enlightenment differs between the Theravada and Zen traditions. I remember my sense of disorientation when I first heard a Zen teacher tell the Zen version. According to the teacher, after sitting all night, the Buddha suddenly looked up at the morning star, exclaiming “How wonderful! All beings and all things are enlightened just as they are!” I naively thought to myself, “how can this teacher not know the real story of the Buddha?” I was certain the Buddha never said any such thing! Not a word about “all beings” or “all things” being enlightened along with the Buddha. Why the difference between the texts? Each text deeply reflects the philosophy of the school it belongs to. The Dhammapada emphasizes the Buddha’s personal accomplishment, the most important part of that accomplishment being the destruction of craving and the ending of rebirth. These are Theravada Buddhism’s primary concerns. The Shobogenzo version, on the other hand, reflects a belief we are all already enlightened but just don’t realize it yet. It also reflects the belief that everything is interconnected: when we become enlightened, everything in the world contributes to and shares that Enlightenment. Finally, it’s concordant with the Zen vow to bring all beings to Enlightenment. The Zen version emphasizes awakening to interdependence and the “all-togetherness” of the world rather than the individual ending of craving and rebirth. The takeaway from all this is that it helps to understand that Buddhism isn’t “one thing,” and that Insight Meditation and Zen aren’t always saying exactly the same thing. Buddhism is best understood as an interpersonal historical process that has metamorphosed in a variety of ways over two millennia, that has co-existed and swapped ideas with other developing traditions, and that has divergent branches which both share core conceptual DNA and differ on key points. All this makes it easy to get confused when one switches practice traditions. Which tradition gets things right and which gets things wrong? Which tradition accurately reflects what the Buddha “actually said,” or teaches the best way to meditate, or has the truest understanding of what Enlightenment actually is and how to attain it? People get caught up in these questions, withdrawing to their respective dogmatic corners. You can too, if you like. I think the more important question is, “How’s your practice going?” Different people probably do better with different sets of teaching and practices. That’s why there are 84,000 dharma doors. There is no way to know in advance which door is best for you. If a particular teaching or practice is helping you to become more mindful, fully present, compassionate, and responsible; if it’s helping you to develop a greater sense of equanimity and become less enslaved by your passions and desires, then it’s probably a good enough practice for you. It’s best to consider all teachings through a pragmatic lens. It’s beyond our pay grades to determine the final answers to ultimate questions, but we’re perfectly capable of determining whether or not adopting a particular practice, view, or attitude is helping us grow or not. That , in the end, is the most important question of all. Dhammapada quote from: Thanissaro Bhikkhu (trans.) (1996). Jaravagga: Old Age, Dhammapada XI, 146-156. Shobogenzo quote from: Tanahashi, K. (trans.) (2015). “Arousing the Aspiration for the Unsurpassable,” Treasury of the True Dharma Eye: Zen Master Dogen’s Shobo Genzo, Boston: Shambhala, 650. Nanuye and Mazu koan from: Tanahashi, K. (trans.) (2011). The True Dharma Eye: Zen Master Dogen’s Three Hundred Koans, Boston: Shambhala.